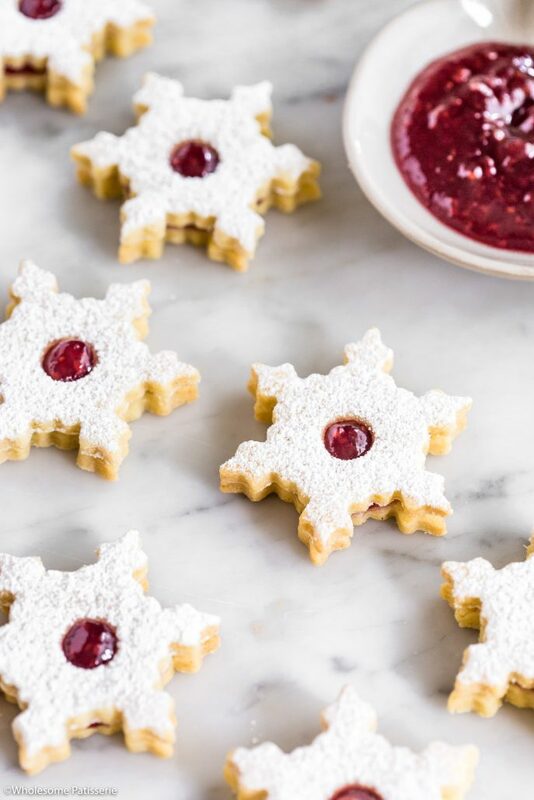 Linzer Cookies! Another classic baking recipe for you to bake this holiday season! 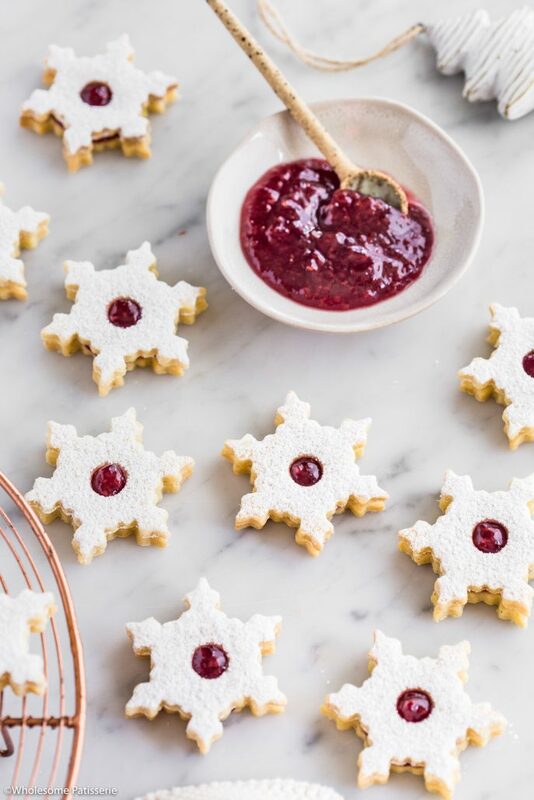 These linzer cookies are great to enjoy all year so switch things up a little and cut your shortbread into cute Christmas themed shapes, such as these snowflakes. You’ll be making your own shortbread pastry, from scratch! I made my batch gluten free, using gluten free all purpose flour (the brand I use is linked in the recipe). You can also use your favourite all-purpose regular flour. Just a quick tip though if you also decide on using the gluten free flour, your dough will be more delicate so handle it with care when cutting out the shapes, especially a snowflake, they have many edges! 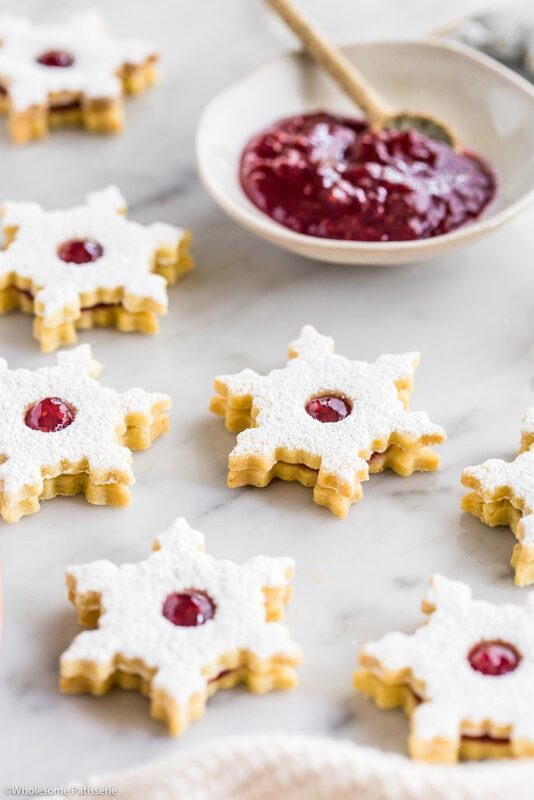 I filled my batch of linzer cookies with raspberry jam, you can also sandwich them with strawberry jam or whatever you wish! Raspberry or strawberry are absolutely perfect though. 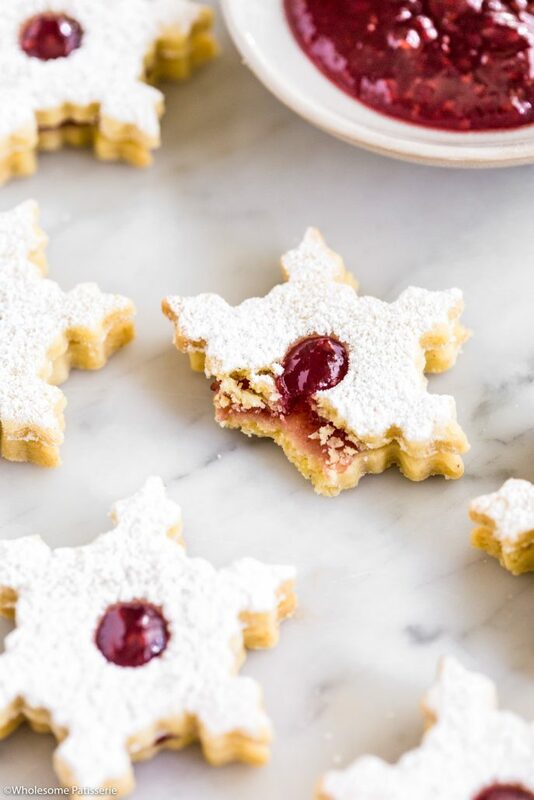 With a generous dusting of icing sugar over the tops, these are going to be Christmas ready in no time! Ready to bake? Let’s have some fun! In a high-speed food processor, add flour and icing sugar. Pulse a couple of times to blend together. Add chilled cubed butter. Pulse for 15 seconds until mixture resembles coarse crumb. With processor running, add egg yolk through the shoot and pulse until just combined. Through the feed shoot, drizzle a little chilled water while pulsing the mixture, until it begins to come together but not a ball of dough. If the dough is still too dry, add a little more water. Turn dough onto a lightly floured work surface. Bring together and gently knead until it forms a smooth dough ball. Divide dough in 2 equal halves and flatten each into a round disc. Wrap each in plastic wrap and refrigerate for 30 minutes. On a lightly floured work surface or on a sheet of baking paper, roll one dough half out to 2-3mm in thickness. Add more flour to the surface if dough begins to stick. 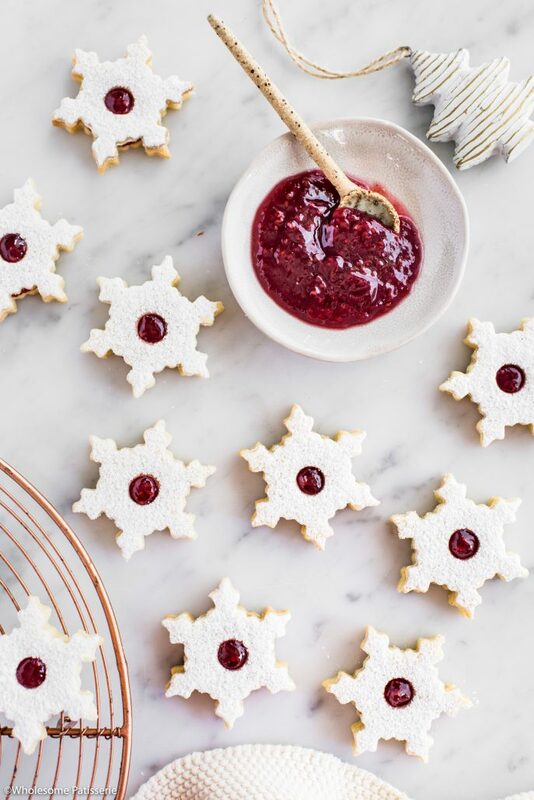 Take the snowflake cookie cutter (or cutter of choice) and cut out the bases. Place each on lined tray. Re-rolling excess dough until used up. Roll out remaining half of dough to 2-3mm in thickness. Add more flour to the surface if dough begins to stick. 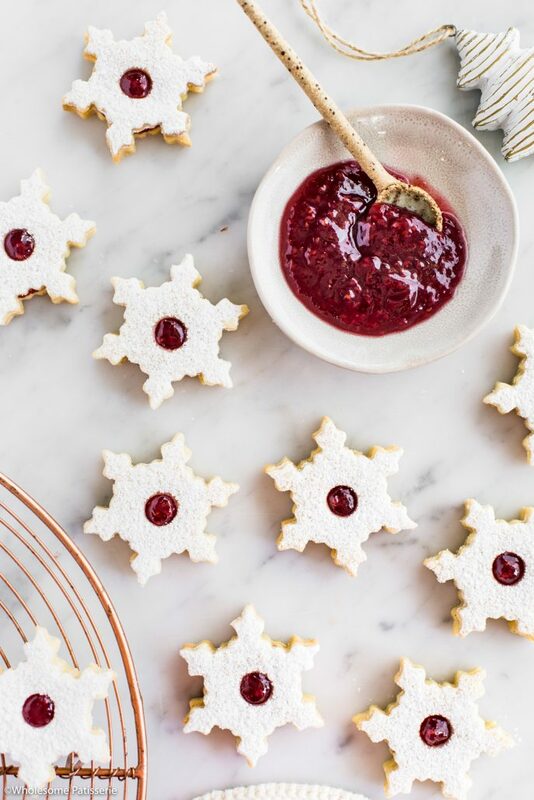 Take the snowflake cookie cutter (or cutter of choice) and cut out enough tops to match the bottoms. Take the round nozzle and carefully cut out a small hole in the middle of each top. Place each on lined tray. Re-rolling excess dough until used up. Return to the refrigerator to chill for a further 15 minutes. Bake for 7-10 minutes or until pale and very lightly golden around the edges. Ensuring not to over-cook. Remove from oven and cool on tray for 5 minutes. Once cooled, spread approx. 1 - 2 teaspoons of raspberry jam onto the middle of the bases. Dust icing sugar over the tops. Gently place the tops over the bases, slightly sandwiching them together. Store in an airtight container, in the pantry or refrigerated, for 4-5 days.